Our planet experiences 10-20 meteor impacts a day. This assessment comes from Bill Ailor of Aerospace Corporation’s Center for Orbital & Reentry Debris Studies. That is, space rocks routinely break up and burn up in the atmosphere. Sometimes a few pieces make it to the ground – and scientist and collectors take off in hot pursuit of these remnants. On occasion, a video camera records an impact. See, for example, videos posted on YouTube of impact events over New York in 1992 and over Chicago in 2003. Another interesting video posted on YouTube is an animated depiction of the near-Earth object discovery rate over the past few decades, made by Scott Manley of Armagh Observatory in Northern Ireland. Here’s the good news: it’s been going up fast in recent years and more and more telescopes are engaged in the search for NEOs. Just last week NASA NEO observers at the Jet Propulsion Laboratory reported two near-Earth asteroid fly-bys, one NEO flying between Earth and the Moon on March 5 and the other passing on March 6. And let me note here that these newly “discovered” objects are not new. As NEOs are part of the debris left over from the formation of the planets in our solar system, they’ve always been with us (even before there were “us”). They’re always moving, and as they orbit the Sun they’re colliding with each other and with other planetary bodies. 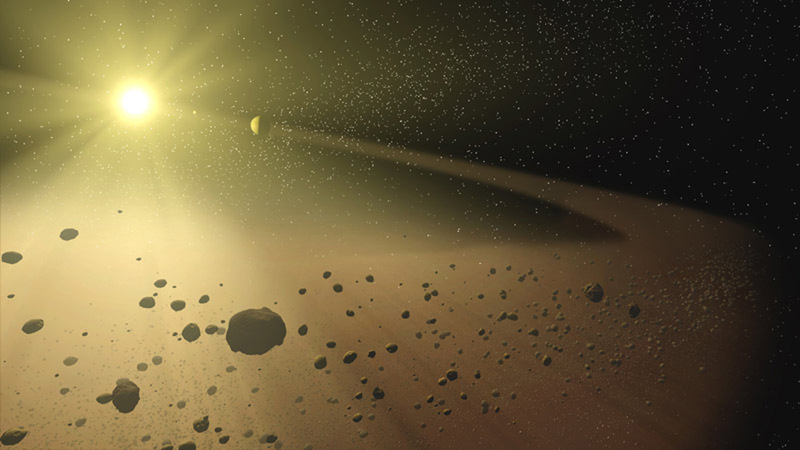 Quick tutorial: NEOs are asteroids and comets that come within a certain distance of Earth. Meteoroids are fragments of NEOs. Meteors are meteoroids that enter Earth’s atmosphere. Meteorites are the remnants of meteors that land on Earth. (For details, see this page.) As JPL NEO expert Don Yeomans notes in his very excellent book, Near Earth Objects: Finding Them Before They Find Us, “More than one hundred tons of near-Earth object material pummels the Earth daily,” though “fortunately, the vast majority of this material is dust and pebbles that are too small to survive passage” through the atmosphere. NEO debris hits our Moon from time to time, and now, because telescopes around the world are watching, we often see these impacts. This video and this news story report on lunar impacts observed last year. Finally, on a completely unrelated topic, let me alert those of you who don’t follow me on Twitter to a 30-minute video compilation of launch vehicle failures from the 1940s to the 2010s – one explosion after another, ranging from “oops” to spectacular. It was made by an Argentinian named Fabio Baccaglioni, who says he spent two days collecting video and two hours on editing them to produce “32 minutes of the best films about spaceships exploding from the early ‘40s to the last Proton-M explosion.” Most of the clips aren’t labeled, so you won’t know what rocket is failing when and where unless you’re a serious aficionado. I should warn that the video may include images of Space Shuttle failures. For myself, if I had two days to spare, I’d take a mini-vacation, or maybe (finally) read War and Peace. Thanks to Mr. Baccaglioni for doing this work so we don’t have to.